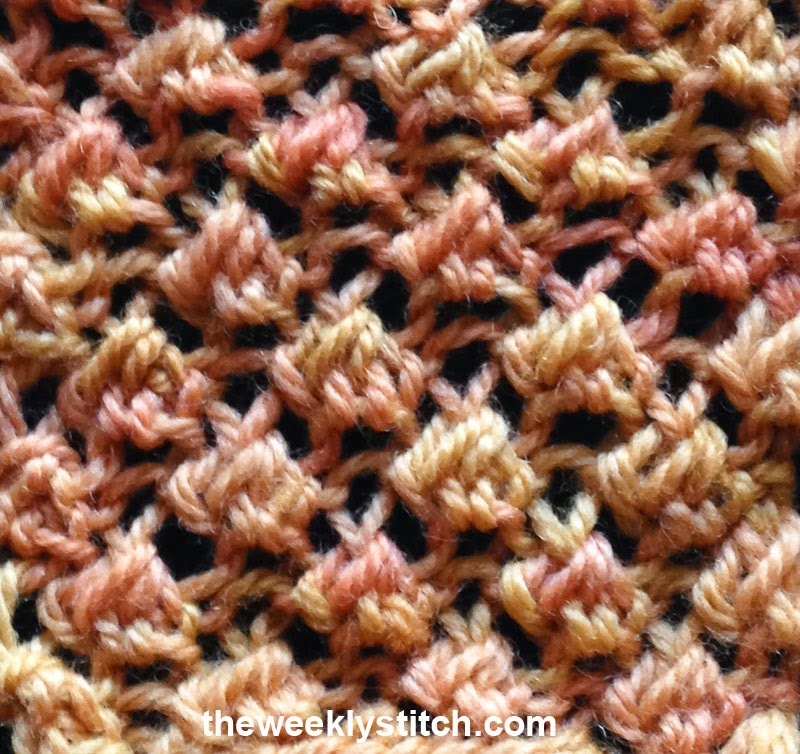 This stitch creates a fabric that spreads a good bit. 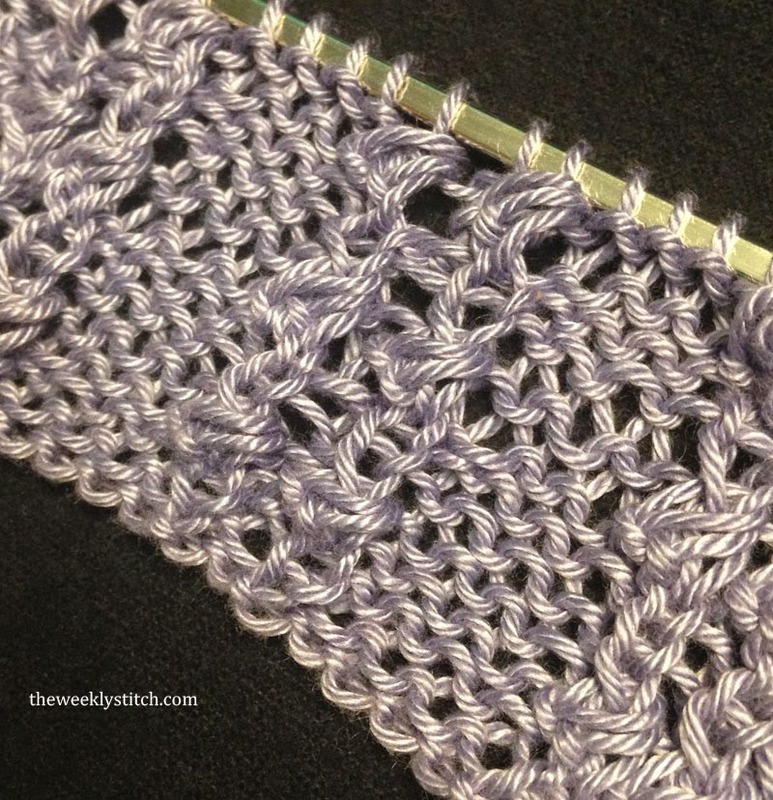 A loose/stretchy cast on and bind off is recommended so the edges will stretch with the fabric when blocking. Repeat these four rows for the pattern. 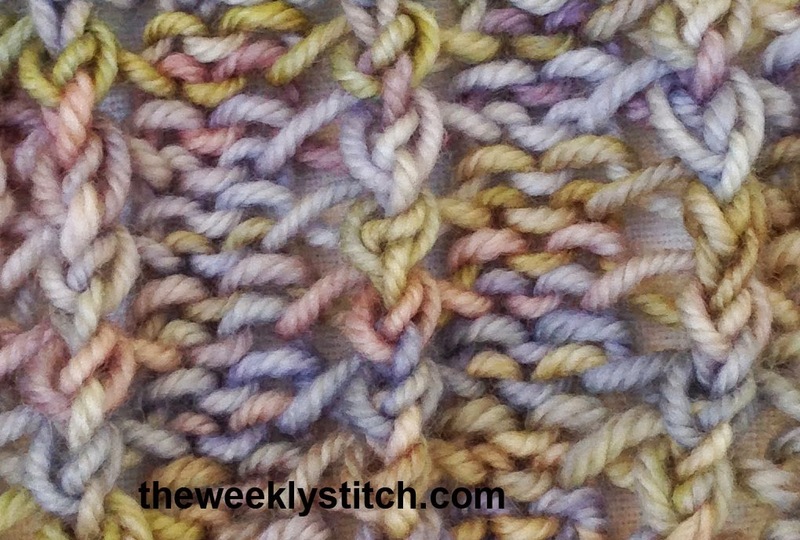 The edges curl so you may want to add a border like garter or seed stitch.